After ‘spreading the word’ about the weather yesterday Felix was keen to highlight the fact that cold weather does not necessarily equate to the wearing of boring or dowdy clothing. 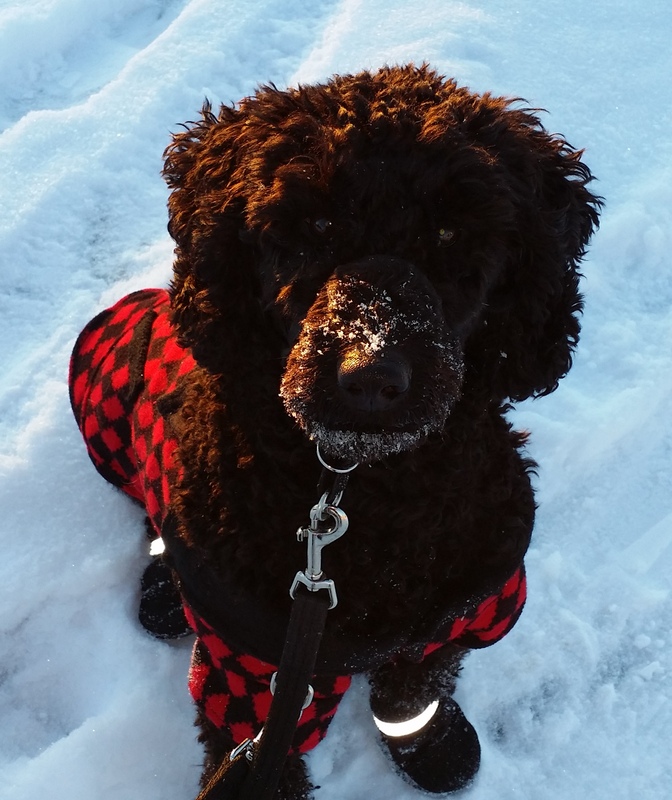 Today, in the -16C temperatures he was rocking a black and red harlequin blazer and matching muttlucks with reflective accents. Way to go Felix…what a dapper chap you are! This entry was posted in Dogs, Nature, Weather and tagged dapper chap, Fashionista, Felix, harlequin blazer, muttlucks. Bookmark the permalink.